Weather, storm damage, or even the passage of time – whatever the reason, you'll usually find that you need to replace fences approximately every ten years. This may be more often in the event of accidental damage or extreme weather. 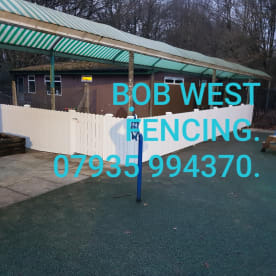 At Bob West Fencing, we offer a wide range of fences including wooden, corrugated iron, metal, plastic and all other types you can think of. Our prices are always competitive and installation is straightforward & fast. We're based in Llandrindod Wells, and you can call today on 07935994370 or fill out the request form to let us know exactly what you need. When you need to replace your fences you want a service that's quick, hassle-free, and doesn't cost the earth. With our low cost guarantee and team of experienced, professional experts you can expect an amazing service from start to finish. 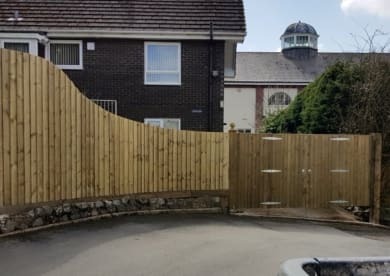 So, whether it's simple slatted fences, ornate ironwork or the perfect white picket, we'll guarantee you'll be thrilled with the results, and we are sure you will be satisfied with the exceptional prices we offer. Here at Bob West Fencing, we know how to install and repair any fence, so it will last for as long as possible. A sturdy fence is a necessity when it comes to your home and gardens. It provides privacy, and helps to seprate areas into their designated spaces. We take care of everything, you just need to decide what you need! Even in emergencies, we can help. This includes repair or replacement of broken or damaged fencing panels and boards, making your fence as good as new. Master Fencer with years of Experience and very competitive rates. 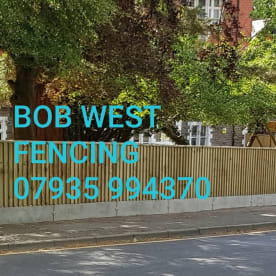 Please note that Bob West Fencing may not be able to honour booking requests made.